In a rare occurrence for a Sunday, there's a hold-up at the bada [big] ground in Sumbal. Five matches that were underway have been stalled; four that were about to begin have been indefinitely postponed: local hero Manzoor Ahmad Dar has been spotted at the ground. The brave ones are marking their run-ups to bowl at him. 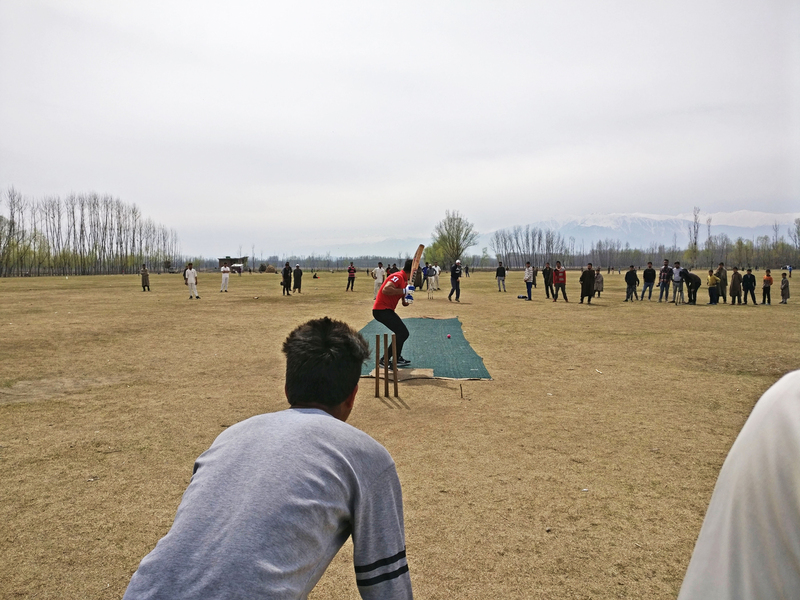 Everyone else is behind the stumps on the central pitch, in what must be the most formidable cordon in the history of the Kashmir Valley - batsmen in full gear, barefoot fielders in pherans, 12th men from the Under-9s, and whites-and-shades showboaters with one hand free for protection as they live the moment through their phone cameras. At about ten yards, the cordon is perilously close to Dar, who has made his pick from the bats offered to him. The crowd around him isn't a new phenomenon. "Politicians would come here as dignitaries during local tournaments and feel left out," says Dar's uncle, Ghulam Rasool Wani. "Everyone was only interested in Manzoor. Over time, they learnt that the best way to draw people in was to invite Manzoor to sit down with them." Over the next 15 minutes, balls fizz past faces as Dar toils hard to suppress his power. His square cuts are subdued but still lethal. He isn't accustomed to the tickle behind square and gets a leading edge into the slips every time he tries. When he tries to go long in frustration, he nearly hits a toddler who has his back turned to the play. There are neither protests from the young nor interventions from the wise. Close calls are the norm here. Raze the poplars on the perimeter, mask the mountains in the background, and you could well be in Azad Maidan in Mumbai. It is customary for outfields from different matches to overlap, and for fielders to get in each other's way. At Rs 250, a cricket ball isn't cheap in Sumbal, but it is what everyone in the ground plays with. Not wanting to hold things up further, Dar challenges a bowler to defend what sounds like 15 runs in six balls. They argue every ball of the first five; the bowler has two legitimate claims of having Dar out, but he doesn't find support. The others can't be bothered, and for their devotion they get to witness a gargantuan hit off the last ball. The gladiator has delivered. As Dar sheds his gloves and walks away, life goes back to normal. The batsmen are already padded up, the bowlers have rolled their arms over, the tailenders have their scoresheets ready, and the umpires hammer the makeshift stumps into place. It doesn't take long for Sunday to resume. 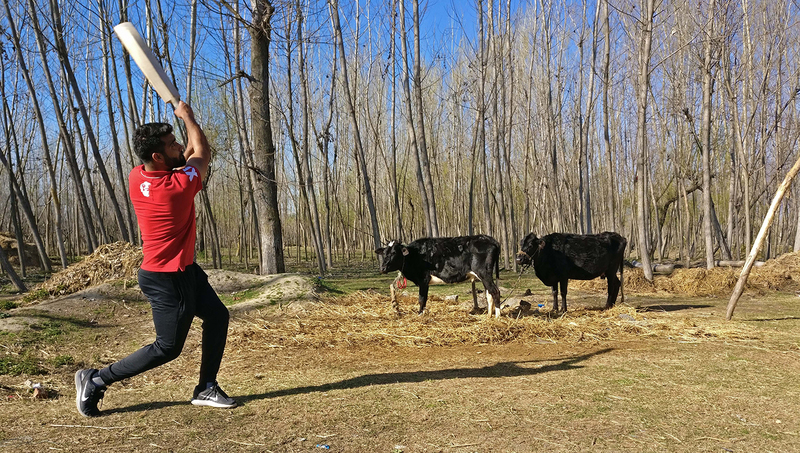 It is here, as a teenager, that Manzoor Dar first began using his reach - believed in Kashmiri cricket circles to be longer than Yusuf Pathan's - to torment neighbouring villages. But his first brush with the game began with handmade bats and a rubber ball, in a smaller ground opposite where we are. 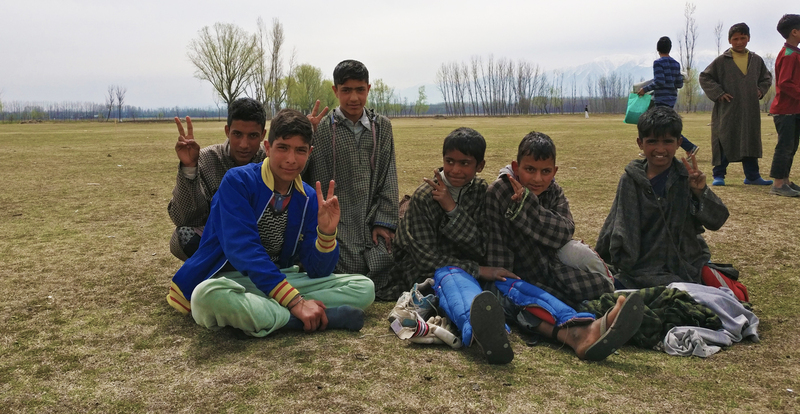 That field was where the youngest cricketers of Sumbal took their first steps, until it was ravaged by sand thieves, who have turned it into a jagged, barren piece of land that even cattle can't find much use for. Dar tells me he once hit a ball from the bada ground all the way into the smaller one: a 200-metre-plus hit. It is not the first time in our conversations that he makes such a claim. Ask anyone at the ground and they will tell you he probably hit one all the way to Mohali. How else would Kings XI Punjab have known? 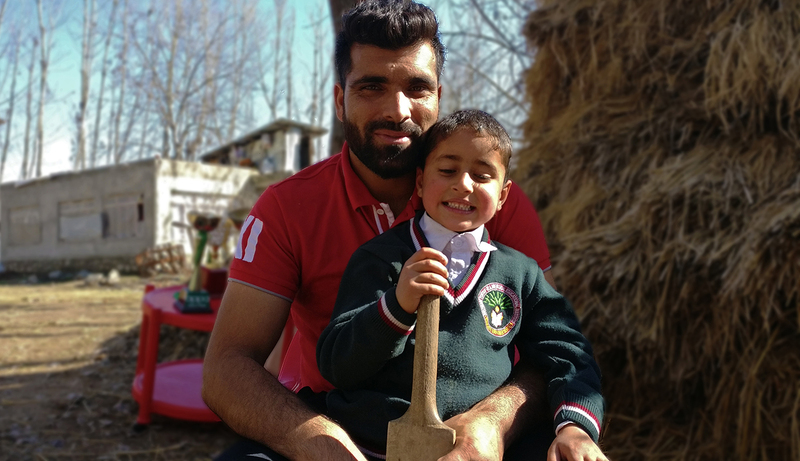 Manzoor Dar, only the second player from Jammu & Kashmir to ever be picked for the IPL, is also the only man from the district of Bandipora to play any sport as a professional. 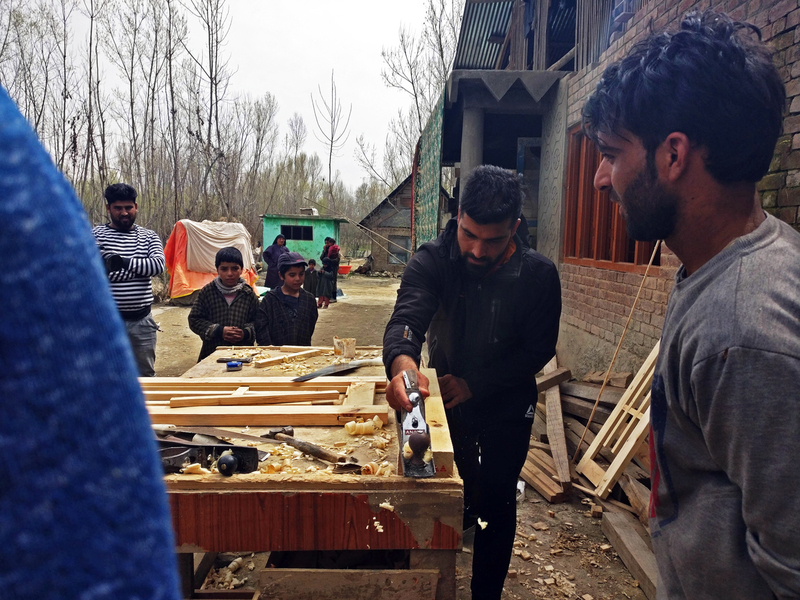 This is a particularly big feat for someone from Sumbal, a village hidden 20km north-west of the state capital, Srinagar, which houses the only turf pitch in the state. And while there is no shortage of grounds, getting anything that resembles proper cricket facilities requires you to either have your own car, or to couple a one-hour hike to the highway with significant hand-waving and oodles of gratitude to the lorry driver who agrees to take you into the city. For a long time, that last was a part of Dar's daily routine. The major part of his schedule involved loading sand into tractors, or carving doors and window panes at a wood workshop, or guarding a Tata entity as a nightwatchman. "The rest of the time, I studied," he says. "When I grew up and there were financial problems at home, I started working as well. From a young age, when I was about 12-13. I have four sisters and three brothers. I had to get them educated. My parents and uncle were there too - so our family is quite big. It's an 11-member family. I was the oldest. I had to stop my education at 12th grade and start working so that I could continue to play cricket." Manzoor towers over his family, and you can't help but wonder if the rigours of daily labour inadvertently made him the T20 basher that he is. He thinks that might well be the case - only a few years ago did he start thinking about his body as something that needed maintaining. 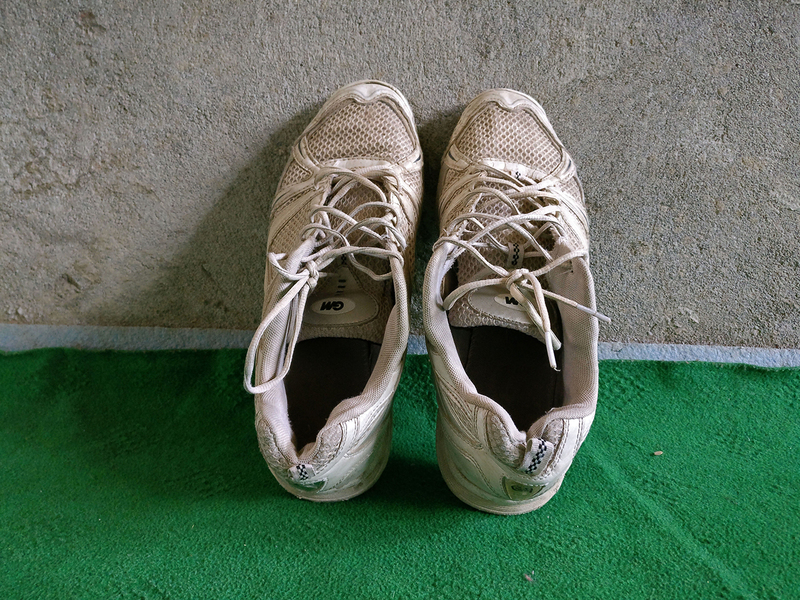 He began running eight kilometres at the bada ground, and followed that up with sprints. None of the ten people in his house come close to having the same body structure. His youngest brother, a wiry 12-year-old, who to everyone's amusement idolises Shane Watson the bowler, is the only other cricketer in the family. Where many cricketers had binaries - cricket or academics, cricket or work, football or cricket - Dar simply did it all. It was necessary, he says, to keep his siblings educated. One of his sisters is a university topper. That is the prevailing ethos in Dar's part of the village, a poverty-ridden Shia-majority area. While one route into Sumbal is a deserted passage that used to be flanked by an Indian army base, the other cuts through a relatively affluent neighbourhood with apple orchards and tar roads, where closed shutters bear spray-painted slogans exalting Burhan Wani, the slain commander of the militant separatist group Hizbul Mujahideen. Caught in the middle, and without electricity or running water till recently, the community simply doesn't have reason to put its eggs anywhere but in education. 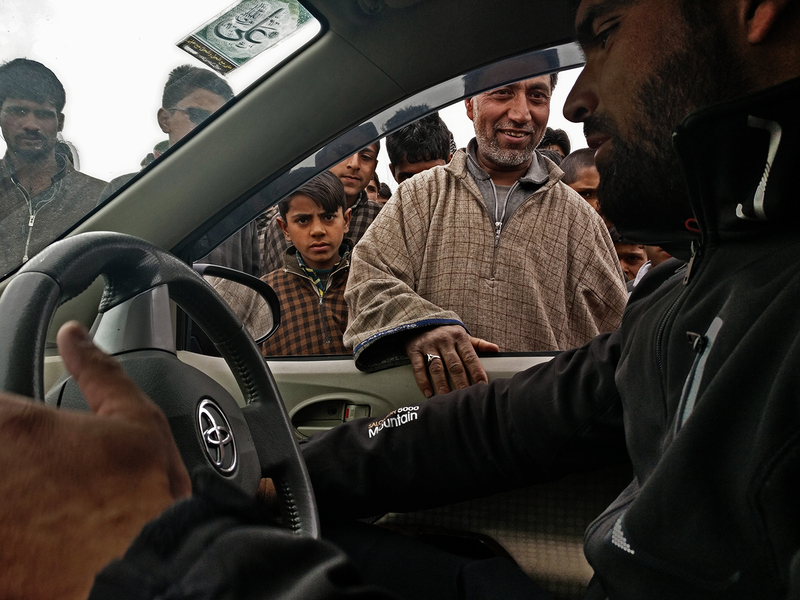 The characteristic Kashmiri guardedness and tension in the company of strangers is very much on view in Sumbal. And even to the outsider, they are afraid to talk about certain things on the record. "Last year when Pakistan won the Champions Trophy, people from outside the Shia areas of the village celebrated in front of our houses with crackers. It's more acceptable to show your Iranian connections here than it is to fly an Indian flag," one of them tells me on the condition of anonymity. In some sense, the villagers, regardless of sect, think of Dar as their way out. To them their beloved Pandav - so named after the heroic protagonists from the Hindu epic Mahabharata for singlehandedly taking out four opponents during a kabbadi raid as a teenager - is already a winner. In the battle for roads, roofs, and electricity, Dar is their first step towards recognition. He has already drawn investments from the state government for repairs to grounds. When he returns from the IPL, Dar says he will personally present an infrastructure plan to the local leader. Sunlight filters through the translucent plastic sheets that serve as windows in the Dar living room, falling on the cakes we have been served. His "cousin and best friend" Zulfikar Ali Dar, an officer in the Jammu & Kashmir Police, holds a cup of namkeen chai [salty tea] as he recalls the day of the auction. "I was on duty that day and we were watching on our mobiles. Lots of players weren't getting picked. Guys like Chris Gayle didn't get picked [at first]. Even Irfan Pathan. Quite a few big players were unsold. So we thought he wouldn't get picked either. But when our prayers worked, we didn't go back to work!" Dar's uncle had fallen asleep in disappointment during the auction and been woken up when neighbours thronged to the Dar household after he was picked up for 20 lakh rupees (US$30,700 approximately) by Kings XI Punjab. The fanfare was grand. Crackers, song and dance, and days and days of daawats ensued even before Dar had returned home. When he did, his mother's doctor told him her heart condition was "70% better". "I was in Jammu at a trials camp for the Vijay Hazare Trophy," Dar says. "It was a two-day auction and I hadn't watched the first day because my serial number was at the back and I knew my name wouldn't show up. "The next morning I finished my training early so that I could go back and watch the auction. I decided to make a video, in case my name showed up on TV for the first time. I'd prepared for it and had my phone in hand. But when Preity [Zinta] ma'am made a bid for me, I didn't know what had hit me for the next five minutes." While there was excitement from local media after the auction - many of whom were around to catch chants of "Kashmir ki jaan! Kashmir ki shaan!" in Sumbal - there was also attention from other parts of the country. Some of the more nationalistic channels brought out the old, predictable rhetoric: that, being from Kashmir, Dar must have dutifully chosen bats over grenades. It is an inescapable predicament for anyone from a region of conflict - as Mujeeb Ur Rahman, Dar's 17-year-old Afghan team-mate at Kings XI Punjab, might soon discover. Dar, 24, doesn't have remarkable numbers. Over two domestic seasons he has played seven List A games and nine T20s, with a highest score of 38 not out across both formats. In his only trial with an IPL franchise, Rajasthan Royals gave him four balls in the nets. All he could manage at the trial was a scar during fielding drills. He couldn't understand it. "What could I have showed in four balls? I barely got to bowl either." How, then, did Kings XI end up signing him? You couldn't read too much into the franchise's emailed responses: "Our scouting team came up with his name. We reserved him for the last few rounds, should he not get bought by other teams. [We bought him for] his ability to hit the ball out of the stadium and his bowling. We were more followers than fans." Dar himself thinks it's because he won J&K two games against Punjab in successive seasons of the domestic T20s. "Apart from that, BCCI had created a list of 100 domestic players with their averages and strike rates too. I was 14th on that list. So because of that I became quite hopeful that someone would bid for me." In the first of those games against Punjab, Dar battered 26 off 14 and went for 17 in his four overs. In the second, he made that career-best 38 and took a wicket. "Yuvi sir [Yuvraj Singh] played in those matches, so did Bhajji sir [Harbhajan Singh]. Everyone from Punjab who has played for India were all playing too. I bowled and batted well against them. They were all watching. "I'm just happy that I got a bid. I now feel like I'll get to play cricket and learn a lot. Forget about my price, I'm not thinking about that. I just want to focus on playing cricket now because I've gone through a lot since I was young." In April 2009, Dar, aged 15, faced his first big problem after making it to club cricket. 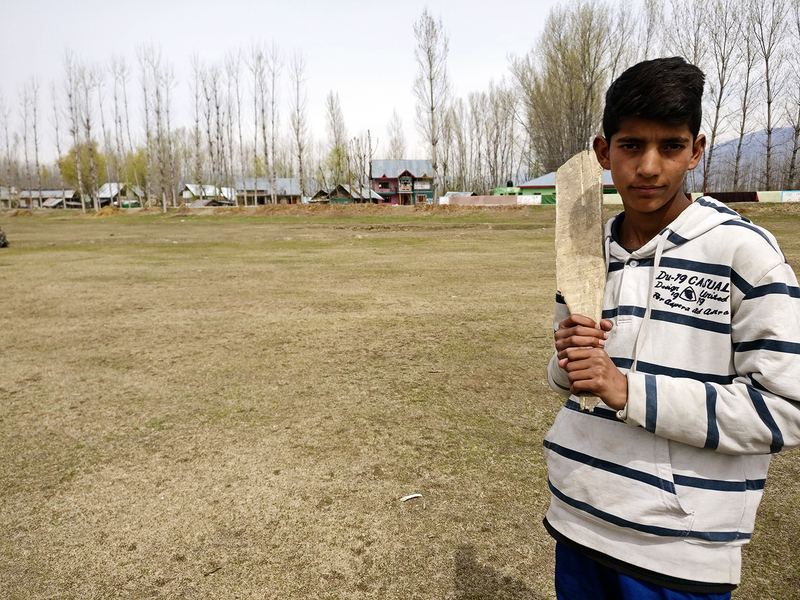 Before he found out that bowlers in club cricket could swing or turn the ball at will, he realised that at the Sher-I-Kashmir Stadium in Srinagar, he could barely keep his feet rooted to the pitch. "It was strange when I saw the turf because I was used to playing either on the mat or on [untended] grass. There, when I took my batting stance, I found the bat slipping on the turf. I had no idea what professional cricket was or how it's played. I had neither cricket whites nor shoes or a kit. I was from this village and no one even knew what Ranji cricket was. We knew international cricket but what was below - we had no idea." But it was a memorable day, and he recalls the details. He made a 23-ball 72 for Budgam District, hitting eight sixes against Srinagar Gymkhana and their many Ranji players - whom he didn't know at the time - to make it into the Greater Kashmir's sports page the next day. The following year, the veteran Kashmiri seamer Samiullah Beigh gifted him Gunn & Moore cricket shoes. They were his first pair and he used them for five years. He still has them. Making his ascent through various clubs, Dar came across other big names from the state, like Parvez Rasool - the only J&K cricketer to have played for India and at the IPL - the former Ranji coach Abdul Qayoom, and fast bowler Abid Nabi. These cricketers were his first exposure to any sort of formal training. "I learnt everything from the radio," says Dar. "I'd hear that Kapil [Dev] sir had caught the ball with his teeth. And we used to believe it! Because we'd never played, right? We created pictures in our minds about how he might have caught it. Viru [Sehwag] sir used to play the upper cut a lot back then, and used to hit sixes with it. So that picture would be formed in my head, about how he might have hit that shot. Or how Sachin [Tendulkar] sir might have played a straight drive. I'd try it out in the ground here." Nowadays Dar has gone from trying to be an allrounder like Andrew Flintoff to trying to perfect MS Dhoni's helicopter shot. He proceeds to show me in his front yard, batting next to their farming patch that is half-apple, half-onion, and in the middle of March, fully empty. It is a shot he's been working on for two years and he has an 1100-gram bat ready to try it against Mitchell Starc. "Eighty waale sixes aasaan hai, mai 200 mile marne ki koshish karta hu." [Eighty-mile sixes are easy, I try to hit it 200 miles.] He doesn't understand why the people around us are amused. When we visit Dar's old school, the gatekeeper alerts everyone and they are outraged he didn't inform them in advance. They form a circle around him and threaten to announce his presence over the mosque's loudspeakers. It takes a lot of negotiating to prevent a spontaneous procession. They finaly let him off, saying it's probably better for his image if there weren't videos of him waltzing through the village like a celebrity. It is the first time I've witnessed a media-trained fan base. 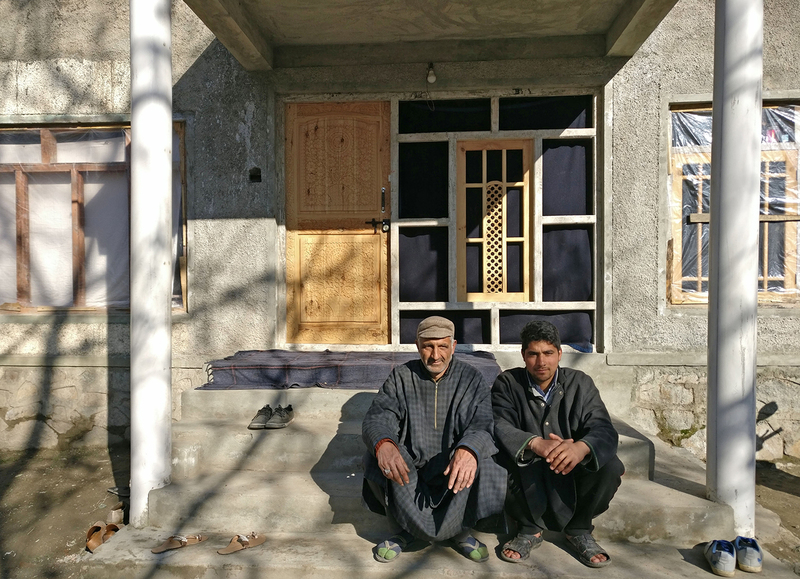 In Srinagar, Manzoor's cousin works at Hotel Sunshine, bang opposite the Dal Lake, and has got him a room there. The one high-end gym in Srinagar is the only place where he can carry out pre-season instructions from Kings XI Punjab's physio. For the first time in his life, Dar has a focused fitness regime. His grin is wide when he tells me that the franchise T-shirt he has been wearing is an XL that didn't fit him 20 days ago. He typically performs two workouts a day, something trainers usually frown upon; but he says they have figured a way around in this case. As is usually the case when the IPL comes around, an invisible bureaucratic barricade surrounds a player, and it takes nearly a week to "lock down" Dar with his franchise's permission. On text, Dar signs off every message with "Manzoor Dar, brother", and on the phone he insists that "aap toh mere bhai ho" [you are my brother], but upon my arrival in Srinagar it takes a two-minute explanation from Qayoom - J&K's coach when Manzoor debuted - to remind him I'm from ESPN. When I eventually meet him and finish my faux protest of being offended that he couldn't remember me - his own brother - we joke about his conspiracy to adopt the entire media industry as family. He laughs and says, "Mera nature hi aisa hai. Achhe se rahoge toh pyaar milega. Collar upar rakhoge toh baddua milegi." [That's just my nature. If you give love, you'll receive it. If you walk around with arrogance, you'll get bad fortune]. Later that evening, as we head to the gym in his cousin's car, Dar tells me how life has changed. He clicks the seatbelt on - he's a public figure now. Someone has gifted him an iPhone and he can't figure it out. The way he talks has changed, he says. "Body language? Completely different." Meanwhile, a distant relative phones him to ask: can the Sunshine's Rs 3000-per-night charge be cut down to a thousand?" Dar laughs after hanging up. The man's never called him before, but he's going to try and get him a deal. At the gym I am stopped at the entrance by Omar Abdullah's security detail. The former chief minister of the state is working out inside and it will take another ten minutes, they tell me. For all that has changed in his life, Dar is still powerless in this situation. He sends word from the authorities upstairs to allow me in, but there's no budging. "You're from the media, you understand how vulnerabilities work," a suited security manager with a thick moustache tells me. By the time I make it upstairs with the video crew, Dar has finished his warm-ups. It's his second gym session of the day and, early into what looks like an unusual mix of exercises designed for the camera, he clutches his leg and collapses to the floor. The trainer is visibly frustrated. He tells me Dar is overworked in the legs and his quads are still learning to respond to high-intensity workouts and he shouldn't have been doing the drill that floored him. My suspicions about two-session days come rushing back and are gathering into outrage at the possibility of him reporting to camp injured, when, a few minutes later Dar is back on his feet and gives us the thumbs-up. Whether he will break into a strong Kings XI batting order is hard to say, and it is possible that Kashmir's sole representative in this year's IPL will go through the season without a game. For Dar and his family, though, there are no negatives. Try talking about downsides to his father, Mukhtar Ahmad Dar. "We've got a lot of respect out of this," he tells me the next day in their village home, which has just been fortified with concrete walls for the first time. "Our financial situation has improved. Even the situation of the village will get better. We'll be fine and so will he. And so will our neighbours." He is aware, like everyone else around him, that when Manzoor Dar goes to the IPL, the Sumbal cordon is going with him.